I wonder how many times we've said or heard the phrase: Just right-click on that… or If you hover over it with your mouse …. but this paragraph extols the merits of keyboard navigation. Posted on:	 July 13, 2017	 Last updated on:	 July 13, 2017	 Written by:	Rebecca Blaevoet	Categorized in:	Blog Tagged as:	Accessibility keyboard navigation Muscarelle Museum Tactile Vision Graphics Inc. I wonder how many times we’ve said or heard the phrase: Just right-click on that… or If you hover over it with your mouse …. but this paragraph extols the merits of keyboard navigation. A really quick way to find out if a page or website is accessible or not is to try and navigate it using only the keyboard. I suspect that even the most modern, up-to-date, state-of-the-art websites still have aspects that are easier to navigate with a mouse, but it’s a good basic test for your organisation’s software package or website. 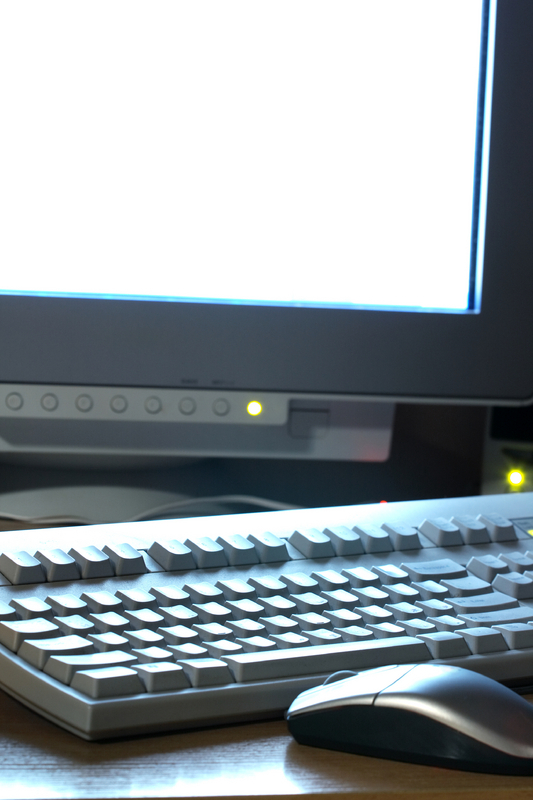 Can you do what you need to do using a keyboard, or short-cut keys? Most of us look at business cards as a necessary but irritating function of networking events. But what if your business card makes a particular statement? It might be the only introduction to your company that an associate ever gets, while forming a 3-second first impression. Imagine what an impact braille makes, especially in industries where flashy glossy business cards are de rigueur? It says We’re an inclusive company better than a lot of verbeage. 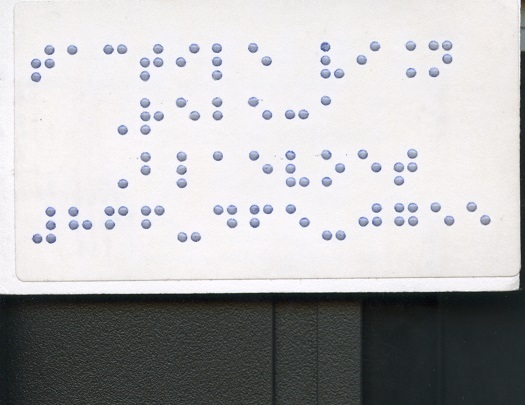 Our braille business cards are even better. 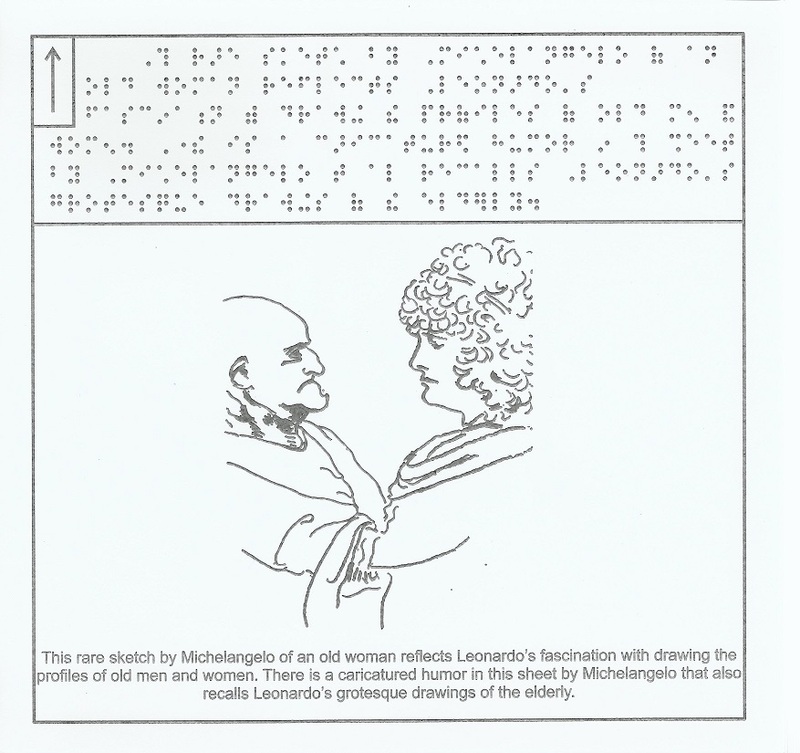 Or as coloured braille labels affixed to the back, on a card where there’s only print on one side, of course. There’s no worry of impacting the print if the information is all in 8-point font; and the braille creates a visual impression, as well as a tactual one. We can choose a colour for the braille that complements your logo, or provide black braille. A number of years ago, we got a call from a docent who was devising a unique tour of a new exhibit in the museum she worked at. It was specifically to introduce blind museum visitors to some of the masterworks of Italian painting. Read the blog post Tactile Paintings da Vinci Decoded here. Tactile graphics production can be about geometry or biology diagrams, but it’s as broad as the number of visual depictions of objects or ideas. Let us help bring your idea to fruition in a way that benefits someone with a vision impairment.